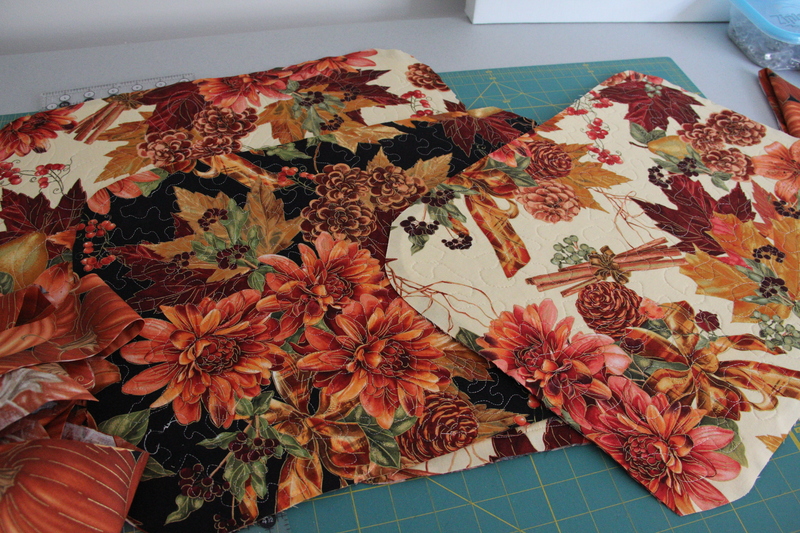 These placemats are almost ready for a fall table. The fabric is fused, they are quilted, and I just need to trim them up and add the binding made from some yummy pumpkin fabric. 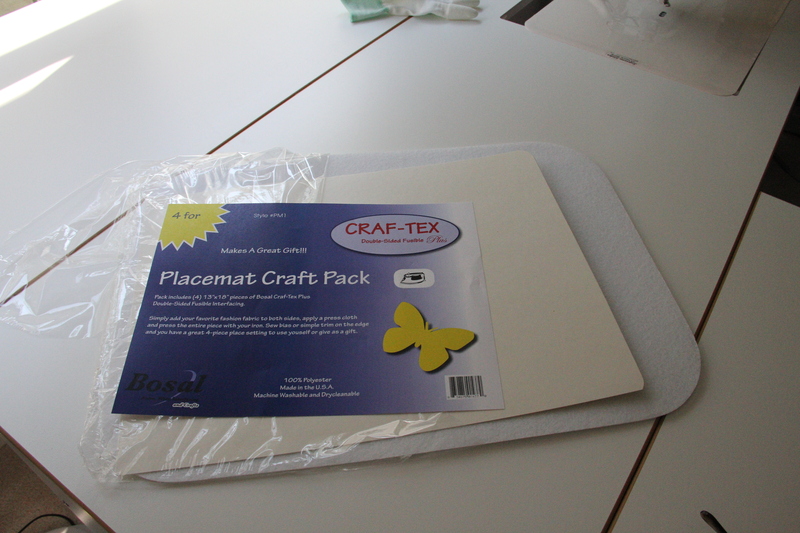 I’m sure you’ve seen these Craf-Tex Placemat craft packs at your local quilt store, (if not, ask them to bring them in!) but I am using them for the first time and they are just a dream! They are so easy to work with, and before you know it, you have beautiful custom placemats for your dining room or kitchen. The fabric fuses on both sides easily without any steam, machine quilting is smooth, and in no time I just add a binding and have custom placemats for my fall table! 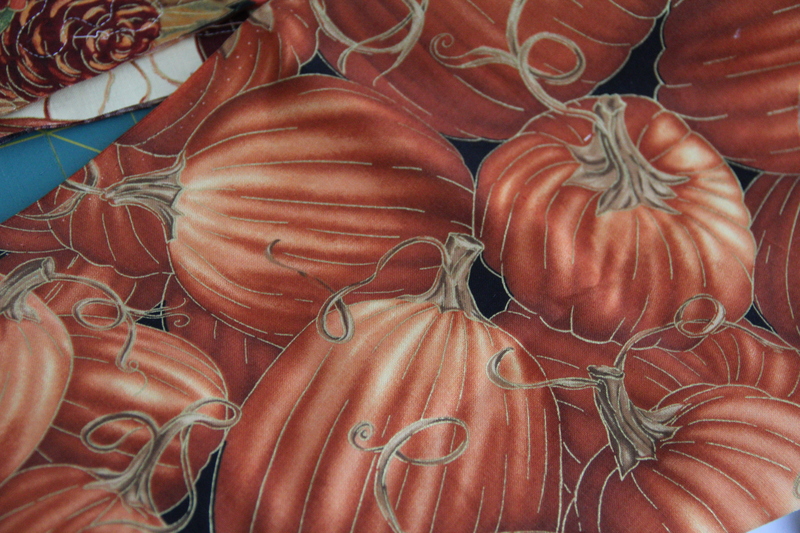 Of course, I could have done some piecing, but I just love this fall fabric, so I didn’t want to cut it up any further…just enjoy it as is! For us, these will simply become our everyday mats, as they will carry us through the holidays (they have pine cones in the mix) A set of four placemats like this sews so quickly and would make a terrific custom-made gift! I still have to trim them up and add the binding but really…sew simple!! Find yourself some rich, luscious, yummy fabric and whip these up in no time. This entry was posted in quilting, sewing and tagged placemats by edges. Bookmark the permalink.